I’ve said it before, and I’ll say it again I’m sure: I’m disappointed, beyond the Centenary of Anzac, that we don’t use Anzac Day to better celebrate and strengthen our relationship with our close kin across the Tasman. This review of the recently published Best New Zealand Poems 2015, though late for Anzac Day, is a small offering with that in mind. In the 2015 anthology, editor John Newton presents a broader range of poems than Vincent O’Sullivan’s 2014 selection. Where O’Sullivan favoured accessible poems, over the experimental or postmodern, Newton’s selection is more representative of the spectrum of contemporary poetry – and may well find a larger audience as a result. At the customary 25 poems in length, there are no soft edges. As with any satisfying anthology, there’s the sense that some of the most elusive and interesting poetry is going on between the poems, not just within them. Morgan Bach’s “The Swimming Pool” opens the anthology with its evocation of “the strange verge of childhood”: that insular gloaming of long summers, swimming pools, bikes and school days. The essence of Bach’s poem is captured in the stilled image of a child jumping into a pool: it’s a moment of tension and lightness between realities – of earth and water, innocence and experience. It’s also a moment of inevitability. Those seconds between solid earth and transparent / water, you were ageless – a flash of stasis / in which you weren’t longing to grow up. The poem elicits a sense of childhood naiveté, but it has an existential edge: “an age where will / is unappreciated. / Compliance was no questions, drawing nice borders”. Tellingly, it’s a reimagining devoid of parental figures. The poem is tender and matter-of-fact. It’s spiked with self-effacing humour (“there were the retreads that outlived cars”) and earnestly aware of the transition that Bach’s poem alludes to – the inevitable coming of age: “my sons are still learning the difference / between people’s needs and wants”. Like Barford’s poem, it’s a grown-ups’ world of “mortgages [and] house projects”. It’s an accessible, deceptively homely poem that’s neatly honed around its memorable central metaphor. I am troubled / by who occupies me when I am left alone, / a hollow opening wider between the ribs, / a lullaby to blood and rule, the scent of gods / calling from evergreens. Cook is estranged from his homeland (his child’s face, familiar birdsong), but he’s also estranged from his immediate surroundings. There’re contrasts and contradictions between the enervating life aboard ship, and the unease generated by the unfamiliar landmass, its people and Cook’s troubled state of mind. There’s also the tangle of morality or conscience (“James! Elizabeth called. Do not forget your compass.”) and culture (“I write with a hand / schooled in reason”). The poem is also essentially personal: it’s a poem of the senses (particularly sound and smell), memory and embodiment. it is I in this line and ink, / clear, shaded in parts, / the curved land spread beneath my hands / as I draw mountains, insistent as the breasts / pressed beneath a man before departure, / promising eternity, / dying for the liberty of strange waters. The poem has its tensions and speculations, but it leaves them tantalisingly unresolved. The final image (quoted immediately above) neatly resonates with Dinah Hawken’s “The Lake, The Bloke and The Bike”, which describes a bay “[c]urved as neatly as if / by a pencil in a compass”, and describes the lake of its title as having “the calm / of a dark, enlightened mind”. As I’ve suggested, Newton’s selection also includes samplings from the more experimental or postmodern veins of New Zealand poetry. For example, Hera Lindsay Bird’s “from Pain Imperatives” with its litanies and refrains (“I write this poem like a chastity belt made of bottle tops”). There’s also Wystan Curnow’s “Episodes”, which provides an accurate (?) if offbeat plot summary of Anne Rice’s The Vampire Chronicles. A knowledge of the source material was unnecessary for an enjoyment of the poem, with its puns, pop-culture references (Alpha networkers, Kim Dotcom, “that’s so random”, etcetera) and jokes (“Whereas Khayman, he / returns to the islands” and “Lestat and Louis drink the blood of slaves from Pointe / du Lac, draining the labour pool.”). The poems of both Bird and Curnow are alive to the playfulness and enterprise of writing. He came home tired and praised her in hyperboles and his hands were flags and the wind didn’t get them. I want my life to be musical, she said. And from then on he spent the weekends singing, almost dancing, almost folding all the clothes and almost putting them away. It is cold in Wellington. I wait in the immigration office. / Every season of this year a winter, the sun a pale scar. He can feel new words in his mouth, others dropping away. They are tied to ground he no longer walks. He watches his thoughts for interference, when the second language disrupts the first. Proper nouns are the most in danger. He will forget the names of certain birds and the word for his local drink. He will forget the green strip where those birds once roosted. He has already forgotten the amber flash of their wings. There are many other fine and memorable poems, including Frances Samuel’s “Life-Drawing Class” (“When I drew the river and walked into it, / those coins worked better than stones.”) and Ashleigh Young’s “Electrolarynx” (“his body / resembled a set of golf clubs in a suit”). I refer to them here briefly as an encouragement to read on. Newton’s “vintage of 2015” does precisely what he forecasts in his introduction: it has its “moment[s] of finding something that really does it for you”, with the attendant impulse to share the discovery. As Dinah Hawken notes in “The Lake, The Bloke and The Bike”, there’re a range of interests in the world (“some are noisier than others”), but the quietness of poetry is weighted with the possibilities of transformation. Best New Zealand Poems 2015 deserves to be widely read at home, and wherever there’s an interest in the breadth of poetry being written in English. Best New Zealand Poems 2015 can be read in full online. I’m a fan of the various national Best […] Poetry or Best […] Poems anthologies that have become features of the international poetry landscape. As I said in my previous post (via TS Eliot) anthologies are “useful … because no one has time to read everything”, and these anthologies are useful signposts for further reading. The Anzac Centenary and two Australia v. New Zealand World Cup showdowns have been features of 2015, so I wanted to post a few thoughts on Best New Zealand Poems 2014, edited by Vincent O’Sullivan, before the year ended. As an aside, Adelaide Writers’ Week has been a great showcase for contemporary New Zealand poetry, with recent appearances by Ian Wedde, Anne Kennedy, Jenny Bornholdt and Gregory O’Brien. Bill Manhire will be a featured writer in 2016. After two centuries of Australian deference to (and fascination with) Western Europe and North America, surely it’s timely to cultivate closer connections with our near neighbours, and closest kin. At 25 poems in length, Best New Zealand Poems is much shorter than the other national anthologies. And O’Sullivan is clear from the outset, as editors of these anthologies have been, that selecting the poems is a matter of partiality: “let’s not make out that anything more definitive than personal choice is going on”. 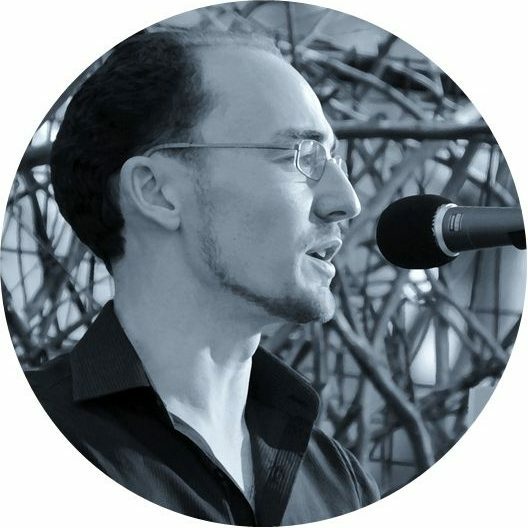 He quotes from Geoff Page’s introduction to The Best Australian Poems 2014 – and, like Page, has favoured poems that are accessible, rather than “experimental, postmodern or avant-garde” (Page’s words). That said, there’s plenty to delight and surprise. The poems include cameos by Paul Gauguin and Wallace Stevens, as well as references to cosmology, climate change, war horses, the Olympic triathlon, and Wellington’s Futuna Chapel. The poems mine local, national, international, and truly universal concerns. On an intercultural level, Rogelio Guedea’s “from Si No Te Hubieras Ido/If Only You Hadn’t Gone”, published in Spanish and English, is refreshing (“it’s the things we’ve bought together / that bring us together”). A final comment on the anthology as a whole is to note the infusion of Maori loanwords and place names, which was cause for particular curiosity and enjoyment – puriri, kauri, waiata, Paekakariki, Maniototo, Matapouri, etcetera – all exoticisms that had me cuing up the search engine. Another curio was the use of “sidewalk” in Peter Bland’s “Locality”, and “footpath” in Kay McKenzie Cooke’s “Sacred Days”, that had me wondering which is the genuine localism. [The mug] marks the distance between / here and then. Sometimes I am far / from the country that no longer exists; / sometimes I feel close to nothing. // This mug is not a likeness, a simile. / It is the same mug I drank from then. There’s a nice nuance in the speaker’s reference to “here and then” (rather than “here and there”, or “now and then”), which intensifies the sense of estrangement. […] baptism will / look like this, the flailing, the flensing of waves / and the breath knocked into you, the haul // that finds you first-footing land, brings / the morning. […] I will get up like a love-cast father / awakening to children’s voices, the night- / time true underfoot, who hears their laughter // and finds, at the unclosed door, the seam of light. Here we are a skinny country / in the largest ocean on earth / spell-bound, windswept, lashed. // The land is like a canoe heading south / to an icy continent or heading north to equatorial islands. I am walking beside the sea that fluttered its / empty sleeves and whose dark voice spoke / to one who made it an image of inconstancy. A benefit of reading further afield is that you invariably approach poems with a clean(er) palate – with fewer preconceptions, and little sense of the politics and personalities. Many of the poets were previously unknown to me. The anthology offers a worthwhile starting point for anyone wanting to explore or renew their familiarity with contemporary New Zealand poetry, particularly poetry in a more accessible vein. Best New Zealand Poems 2015 will be published in the new year. Page, G, 2014, The Best Australian Poems 2014, Black Inc, Collingwood (Vic).